I must admit I’m not much of a keen runner. Running endlessly either on a treadmill while staring at a wall (or mirror) or outdoors in all weathers is not exactly what I call fun. I might run for the bus, or to the shops, but a couple of miles for the sheer fun of it? Jog on! During my time on Channel 4’s SAS: Who Dares Wins we covered some serious ground across the mountains in Morocco; long runs with heavy bergens on our back crossing tricky terrain. Pacing it up and over the Atlas Mountains and then running back down while enduring 40-degree heat sprinting through the Sahara Desert was hardly a brisk jog in the park. Preparing yourself for those kind of conditions is tricky especially when you have no idea which part of the world you’re going too, but I’m glad I put in some track time beforehand as running was a serious part of all the physical challenges on the show. Run home from work - kill two birds with one stone! Taking in some fitness and getting home all at the same time is the ideal solution if you haven’t got the time during your busy schedule to get some training in. Commute long and boring? Consider getting off the train or the bus before your stop and get away from the crowds and slow traffic. Enjoy the great outdoors and run the rest of the way! Rain or shine - if you dress appropriately you can run in any weather conditions. Leggings and skins are handy for keeping you warm in the autumn months, but remember it’s slippery when wet and when there are leaves on the ground, so make sure you have appropriate trainers with a strong grip. Stretching before a run isn’t always a good thing - Many runners follow a routine of extensive stretching before going on a run, however a recent study published in the Journal of Strength and Conditioning Research suggested that this could hinder your running performance. The research found that stretching prior to a run made the body less efficient and, as a result, the runners were unable to run as far. Rather than stretching it is encouraged that runners should warm up with more dynamic movements such as high knees or heel flicks to prepare the muscles for exercise and get the blood pumping. Completing dynamic stretches will also raise your heart rate, body temperature and loosen the muscles so that they can work more efficiently during your run. Stretching should be completed after exercise, as part of your cool down routine. Put your back (pack) into it - A backpack can be tricky to avoid, especially if you’re running home from work but there’s some great benefits when you run with extra weight. Your body adapts to this and learns to carry you and that additional weight, improving your endurance and overall fitness level. You’ll notice a difference when you take the weight off running longer distances. Fartlek training - If you want to improve your speed I encourage Fartlek training. Set yourself a set time or distance and within that block don’t stop or rest. For example, run the full length of a football pitch as fast as you can then jog the width. Repeat this method 10 times. Fartlek will not only help with stamina but also your endurance. The word ‘fartlek’ is a Swedish term which means ‘speed play’. The principle behind fartlek training is to enable the body to adapt to various speeds, conditioning the body to become faster over a longer distance. Calories Counting – Depending on your size and speed, running can burn around 566-839 calories per hour. After running at a steady pace, you’ll continue to burn extra calories over the rest of the day. (If that's not motivation to start running, nothing is). You’ll see a difference in calorie loss during intense training like Fartlek, especially if you push yourself on the speed lap. Short bursts of high intense interval training (HIIT) will increase metabolism and the loss of unwanted body fat. Social running – If a solo run on a dark winter’s night doesn’t appeal, try social running. Whether joining a local running club, or just with a friend or two, the camaraderie and competitiveness of group running could just be the motivation you need. 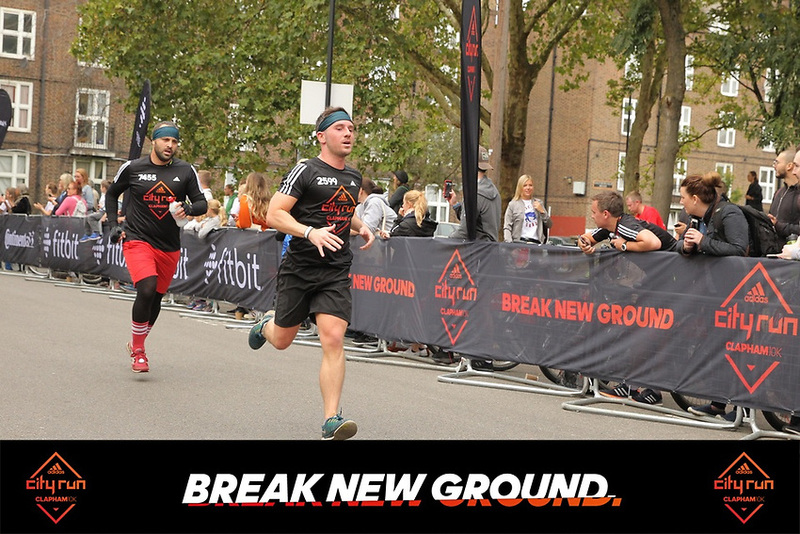 Sign up to an arranged run - whether it be a 5 or 10K run, or even a marathon, this is a great way to put all the above into practice and have an end goal in sight. It’s also great motivation to train. I recently took part in a local 10K, with the aim of achieving a personal best. I wanted to push myself and finish in under 45 minutes (which is above average for a 10k, its usually 50 -60 minutes depending on fitness). I completely pushed myself and finished at 47.39. It was fun too, running with so many people. Monitor your progress with tech - There’s plenty of running apps out there to track progress. I use an app called Strava, a nifty bit of tech which records my speed and my distance with every run, perfect for monitoring my performance. I could see I was improving with every run and it was a huge boost to my confidence. Running isn’t just good for physical fitness, but mental health too. Studies shows that your brain will start to secrete hormones that naturally improve your mood as soon as you start running outside. Before taking my own 10k challenge, I sought the views of some frequent runners about what personal benefits they get from it, and their views were illuminating. And why not treat yourself and your tired limbs after your run with a long hot soak in a bath. Recent research from Loughborough University found that you can burn up to 140 calories per hour just by being in a warm bath. So what are you waiting for? There’s no denying that running can be your own personal mental health cleanse and physical fitness fix all in one!